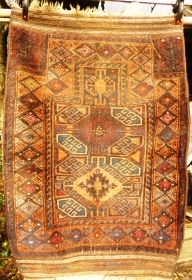 Dealer and collector of tribal nomadic rugs, carpets & textiles from the Silk Road, Caucasus mountains, Anatolia, Persia, India, Europe and South America. 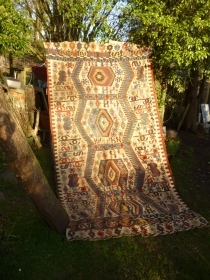 Attends fairs right across the UK including: Hilton Olympia Textile and Tribal Fair, Ardingly, Shepton Mallet Flea Market, etc. 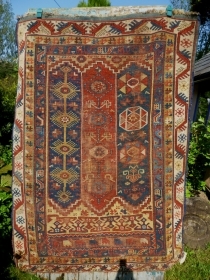 Can be found on Ebay selling under the name of Handmaiyd (Rugs). 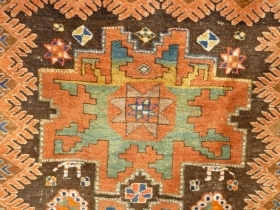 Specialises in Turkmen pieces, especially Ersari. 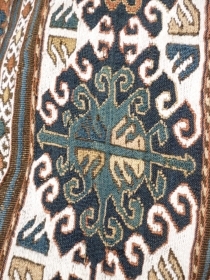 active since August, 7, 2013. 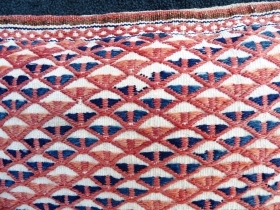 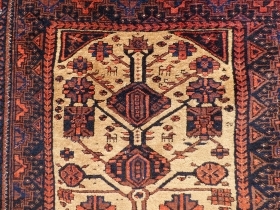 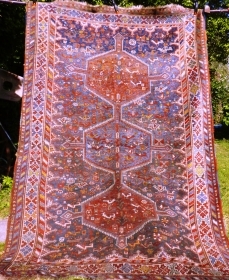 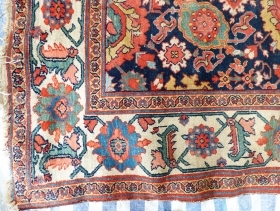 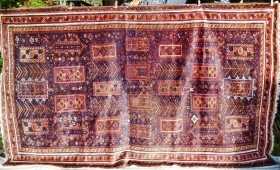 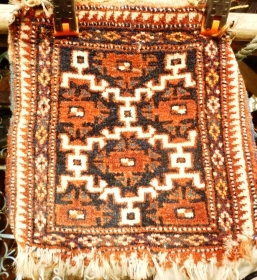 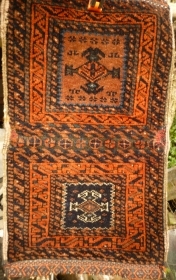 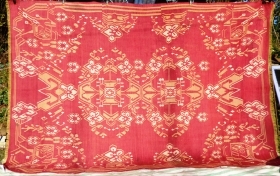 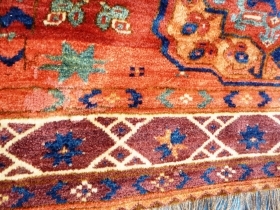 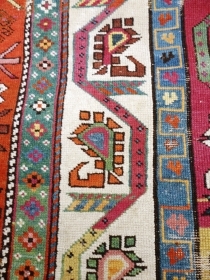 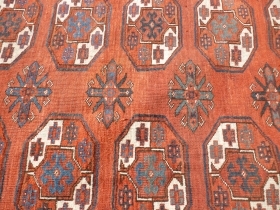 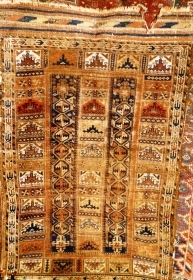 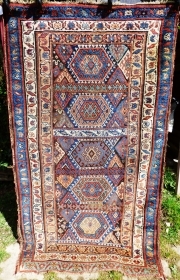 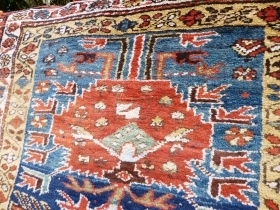 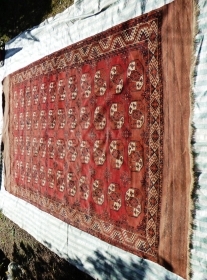 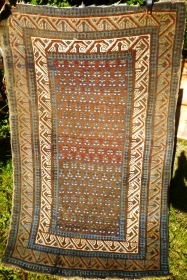 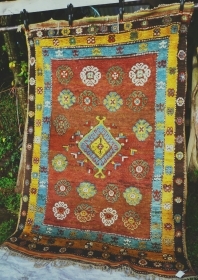 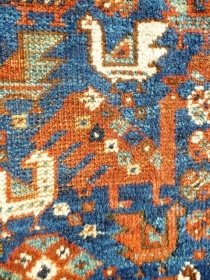 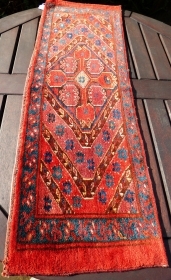 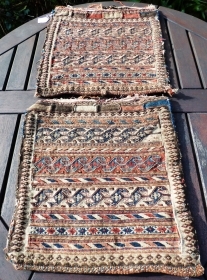 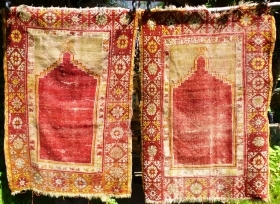 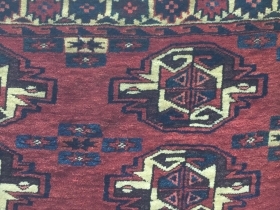 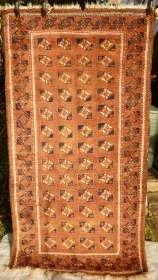 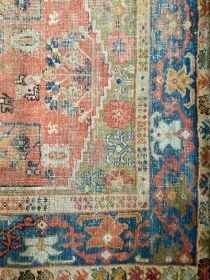 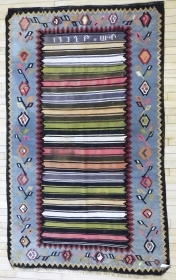 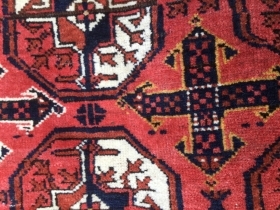 Turkmen Kizil Ayak Main Carpet. 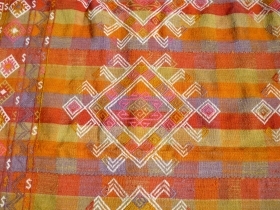 Sides ends original. 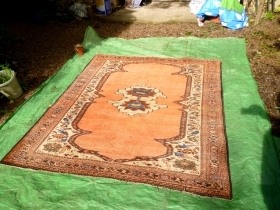 Minor wear and staining in places - see pictures. 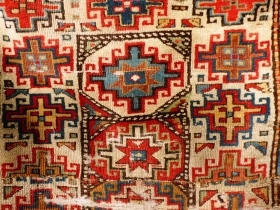 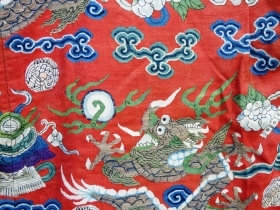 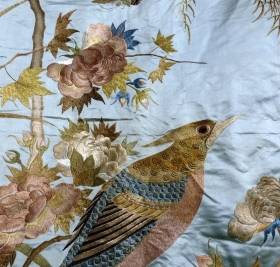 a full pile Yomut or Karadashli Turkmen Chuval (detail).115x77cm. 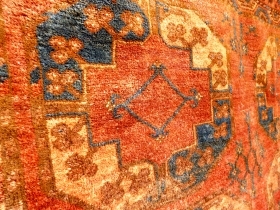 Minor damage in one or two small areas. 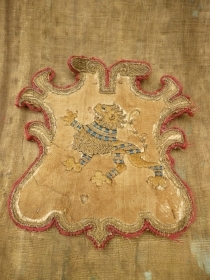 19th Century or earlier.